The Surfaces show was held in Las Vegas on January 25th to the 27th. It is the premier flooring show for the industry. Trade shows have a roller coaster existence. Their size and attendance is on the ride down right now due to the economy and other factors. Hopefully, the ride has reached the bottom of the curve and has started back up. There was a change of venue this year to Mandalay Bay Convention Center from the Sands. This was a pleasant change that added some new excitement. Also a concerted effort was made to make the show more educational. The seminars and forums were much improved over years past. Speakers and topics were more relevant and energized. Those who got up at 8:30 AM for the keynote address were treated to something really special. 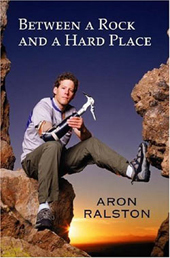 The speaker was Aron Ralston who wrote the book Between a Rock and a Hard Place. This was made into the just released movie 127 Hours which was nominated for 6 academy awards. Starring James Franco, it tells Aron Ralston’s story of his hiking trip into the desert alone. When he falls in a rockslide, his arm is pinned under a rock. He is trapped for six days before cutting his arm off, releasing himself, and walking out of the desert. His story of courage, strength, and revelation held you with rapt attention while you both laughed and cried. Sometimes when business is all we do, and we are engulfed in our day-to-day problems, it is good to hear a message of what is really important in life. Ralston had time to evaluate his life and found it came down to family—a thought for all of us to remember. While walking the show, the one prevailing, take-away thought might be that the quality of design whether it be carpet, vinyl tile, or laminate, has leveled out. Just a few years ago, you would see one booth of gorgeous product followed by a booth with designs dating from the 50’s. It seems now that whatever the price point or quality of a product, the designs were clear, fresh, and interesting. Design as a differentiator for manufacturers will be more difficult. Products in the future will need to be sold on groups of strengths which are harder to grasp quickly. The combination of quality, service, availability, and environmental attributes will make the difference to the consumer. The environmental aspects of the product were stressed in some booths and non-existent in others. Retailers are more and more finding eco concern is a factor with their customers. Though residential customers are lagging behind compared to commercial architects and designers in their thinking, the wave is growing. In a field of diminishing differentiation, this is one area for a retailer to add strength to his product story line and be a trendsetter. On the whole, the feeling was cautiously upbeat at Surfaces. Using the time now to prepare for that upturn is crucial.